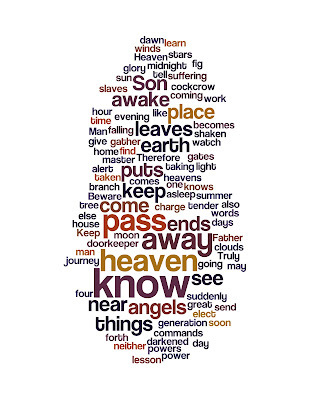 Here is Sunday's Gospel for Advent Sunday from Mark 13:24-37 as a Wordle. I am very familiar with the passage. Jesus' language and imagery is initially apocolyptic. As He talks about the fig tree, the metaphors are immensely hopeful and speaks of the growth of faith in the church. The passage is so full of hope and immediacy. 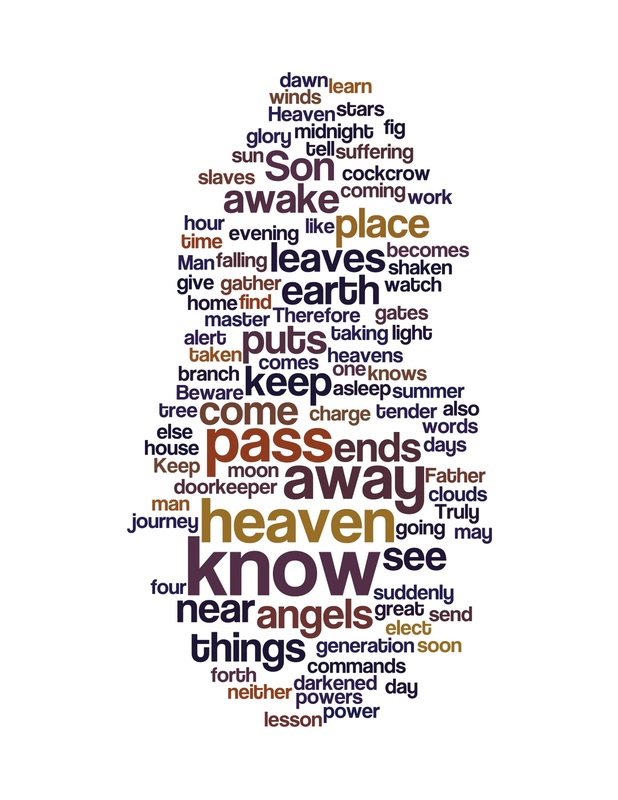 As I wordled it I was really struck how, in the midst of angels and men, houses and the sun, branches and leaves, and in the midst of the dawn and the clouds we can know heaven. The two most prominent words just sum up Advent. We can know the nearness and purposes of God.